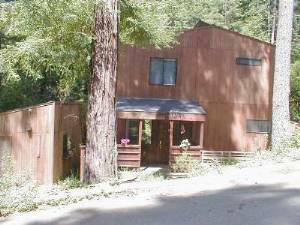 Accommodations include 2 bedroom 2 level home in Gualala 1 mile from the ocean. 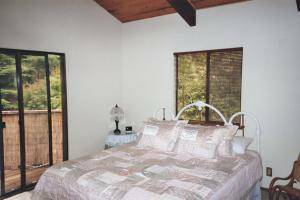 King-size bed in master bedroom with balcony and wood burning stove. Guest bedroom has queen-size bed and skylight. 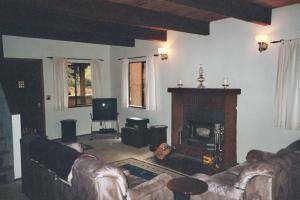 Sofa bed in living room next to fireplace. 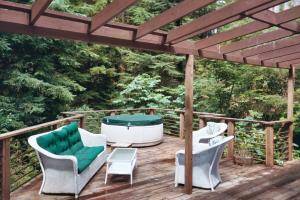 Spacious deck with hot tub and BBQ for relaxing outdoor living. Large kitchen with cozy dining area for six guests looking out to deck surrounded by gorgeous trees. Firewood included.